The OASE range of aquarium filters are ideal for use in cold water, marine and tropical fish tanks and offer internal and externally mounted options. 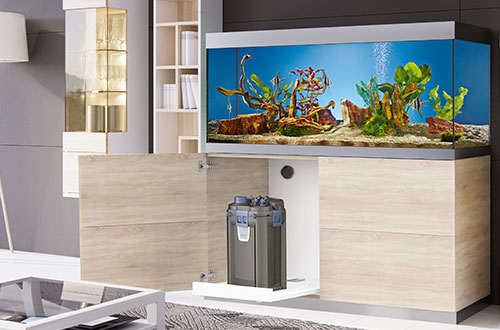 The OASE range of aquarium filters represent superb value for money and are packed with innovations to ensure your indoor aquarium is kept in peak condition. These fish tank filters are suitable for use in cold water, tropical or marine environments and are suitable for tanks from 25 litres up to 600 Litres capacity. The OASE BioCompact and BioPlus filters are designed for internal mounting whilst the OASE FiltoSmart and BioMaster canister filters can be mounted externally for crystal clear water clarity.